EPS (Encapsulated PostScript) is a graphic file format, which is used to represent vector files. In this format, image is represented by text to create points, lines, areas, and colors, rather than color pixels. Files in EPS format can be easily enlarged and reduced without any loss in quality of image. There are a number of free EPS viewer software available, which let you view and edit EPS files. Some of these software are quite simple and easy to use, while others provide advanced features, like: layers, add effects, add filters, render, etc. You can also convert EPS file into various other familiar formats using these software. Out of these my favorite EPS viewing software is GIMP, because it lets you view and edit EPS files. You can also convert it in various image formats like PNG, JPEG, TIFF, GIF, etc. 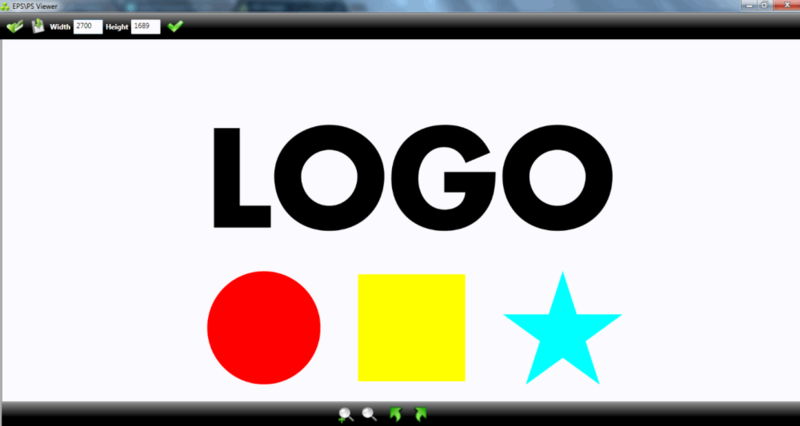 GEGL operations (box blur, checker board, color, dropshadow, gaussian blur, motion blur, noise, wave, etc.) prove out to be icing on the cake, thereby enhancing its features. 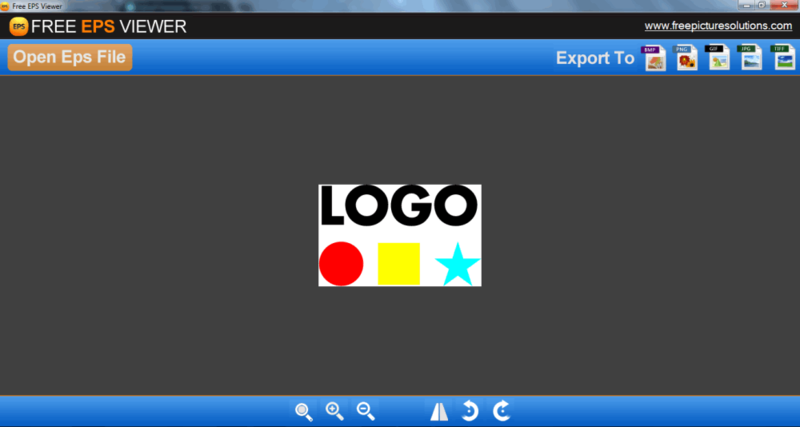 Also check out Free CDR Viewer and Free SVG Viewer. Crop, rotate, resize, and zoom. Edit EPS file using some common tools, like: color balance, hue, saturation, colorize, brightness, contrast, threshold, levels, curves, and many more. Add several filters, like: blur, enhance, distort, noise combine, map, etc. Edit EPS files using common drawing tools, like: paint tools, color tools, transform tools, and color picker. A GEGL operation tool is available, which can further make several edits to EPS file, like: box blur, checker board, color, dropshadow, gaussian blur, motion blur, noise, wave, etc. Export EPS file in various available image formats, like: GIF, PSD, PNG, EPS, TIFF, BMP, Bitmap, etc. Add location in Variable value i.e. C:\Program Files\gs\gs9.16\bin (for my computer). You will also need to add Ghostscript lib directory in system variables. Replace "bin" with "lib", in system path, eg: (C:\Program Files\gs\gs9.16\lib). You can also refer to GIMP discussion forum, to solve this problem. 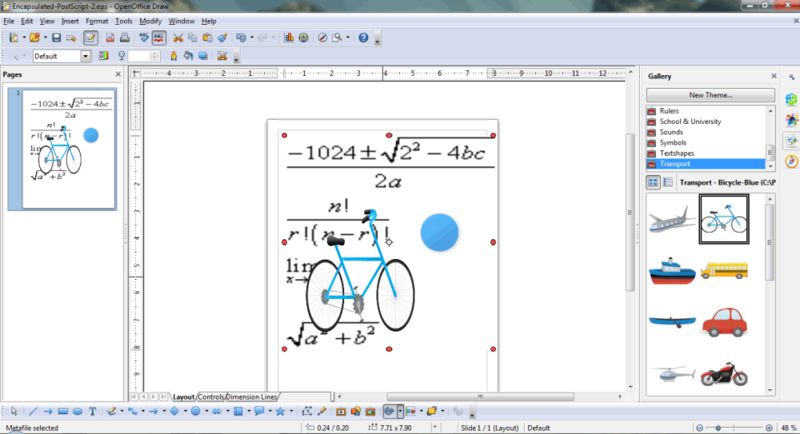 Inkscape is a free EPS viewer and editor software. It also lets you edit EPS files, using a lot of built in tools. You need to install Ghostscript to view EPS file on this software, and follow few necessary steps. 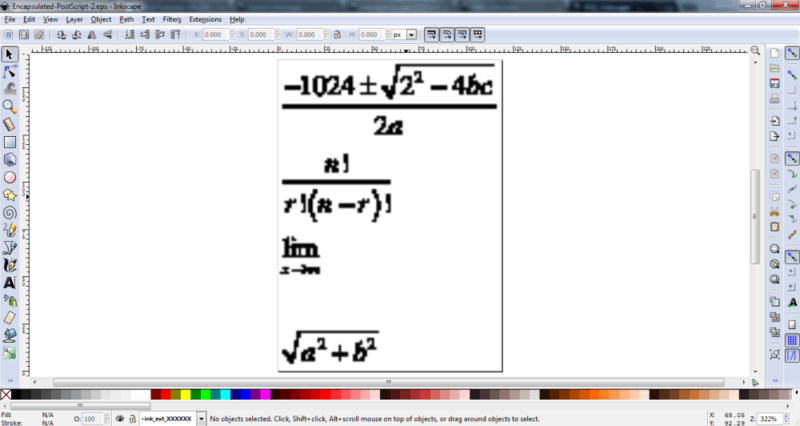 You can zoom, rotate, flip, and view EPS file in full screen on Inkscape. You can also edit EPS files using layers, drawing tools, objects, paths, and text tools. Add several filters in your EPS file using this freeware, like: bevel, bump, blurs, colors, distort, pixel tools, etc. Several extensions, like: arrange, color, images, raster, render, etc. provide various functionalities of professional software. You can also save your EPS file in various popular image formats like SVG, PNG, PDF, PS, EPS, HPGL, GPL, and many others. Find out where ps2pdf is on your machine. It is in Ghostscript lib directory, which is usually at: C:\Program Files\gs\gs9.16\lib. Go to: Start > Control Panel > System > Advanced > Environment Variables. Go to System variables in the bottom panel of Environment variables window. Click on "Path" option, and click Edit. 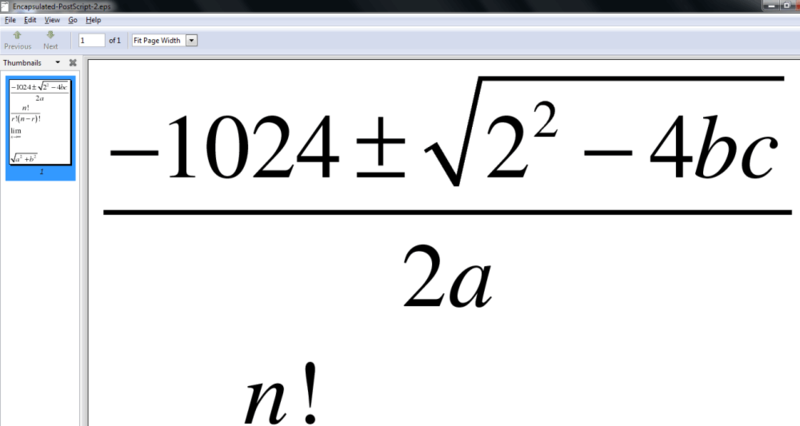 Add a semicolon at the end of Variable Value, and paste the System path of ps2pdf file. For my system system path is: C:\Program Files\gs\gs9.16\lib. Add another semicolon in the Variable value after adding system path. Replace "lib" with "bin" in system path (C:\Program Files\gs\gs9.16\bin). Add it to Variable Value, and save. 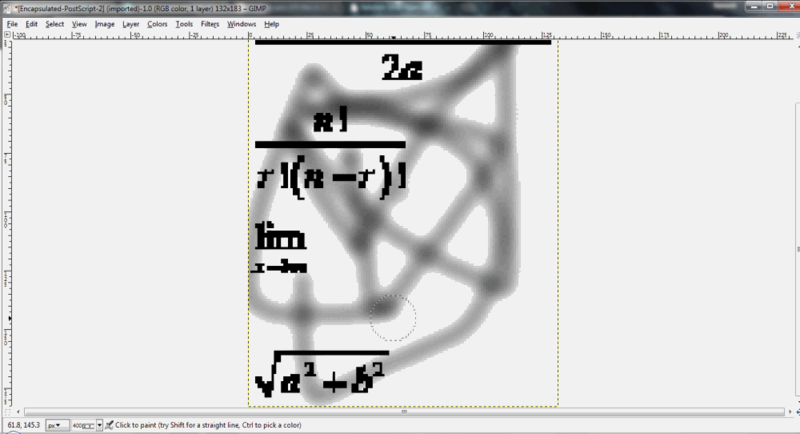 Checkout this Blog on how to import EPS on Inkscape. OpenOffice lets you view EPS files on your computer, for free. You can view an EPS file on the following OpenOffice applications: OpenOffice Draw, OpenOffice Writer, OpenOffice Calc, and OpenOffice Impress. 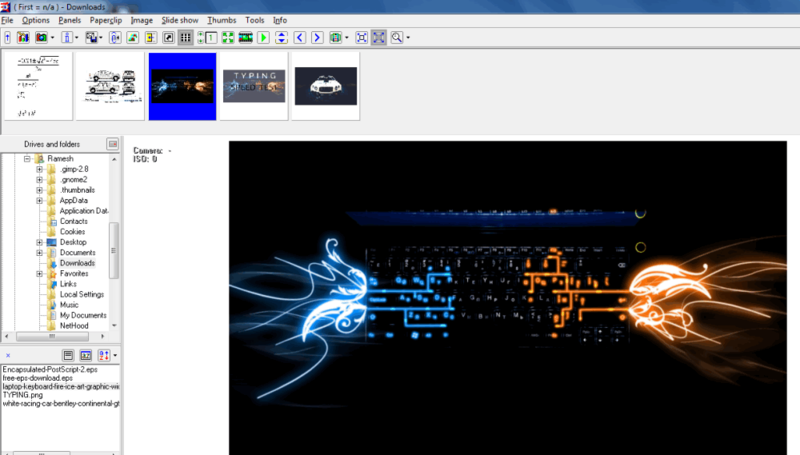 This is a very popular document viewer, creator, and editor software. Start OpenOffice Draw, and open the EPS file to view it. You can resize the EPS file, or make minor edits using tools like crop, rotate, flip, add text, and shapes. You can select option to save the EPS file as PNG, BMP, EPS,GIF, JPEG, PPM, RAS, TIFF, ODG, OTG, SXD, PDF, SWF, and STD. To view an EPS file in OpenOffice Writer, OpenOffice Calc, or OpenOffice Impress, go to Insert Tab > Picture > From File, and load the image on the work-space. You can resize, crop, rotate, flip the EPS file, using built in tools. You can make some minor edits to EPS file using text, shapes, various themes, and properties. 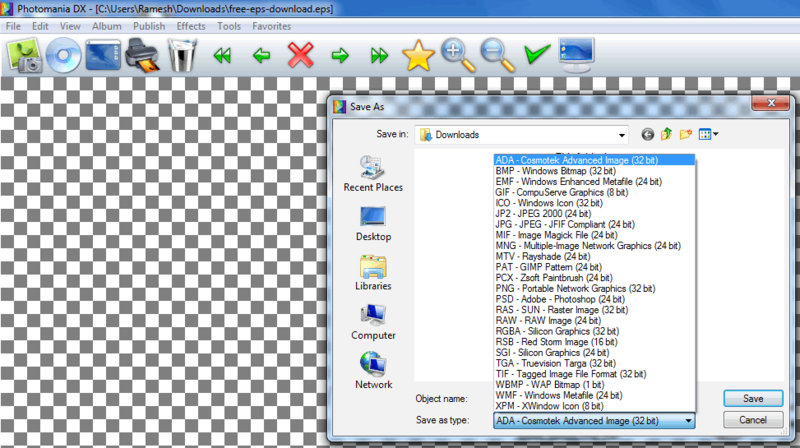 You can save EPS file in different image formats, like: PNG, BMP, EPS,GIF, JPEG, PPM, RAS, TIFF, etc. You can also save it in other document formats, like: ODT, OTT, SXW, STW, DOC, RTF, TXT, HTML, XML, UOT, PPT, POT, SXD, XLS, XLT, etc. Paint.NET is a very simple and useful tool to view EPS files, however you need to install Ghostscript, and add a plugin, to view EPS files. After you download the Illustrator Encapsulated PostScript plugin, you need to extract it, and copy it to "file types" folder in Paint.NET installation folder. After following the above steps, you will be able to view EPS files on Paint.NET. You can also open, and edit EPS files on this freeware. Save EPS file in different formats, like: PDN, BMP, GIF, JPEG, PNG, TIFF, TGA, and DDS. 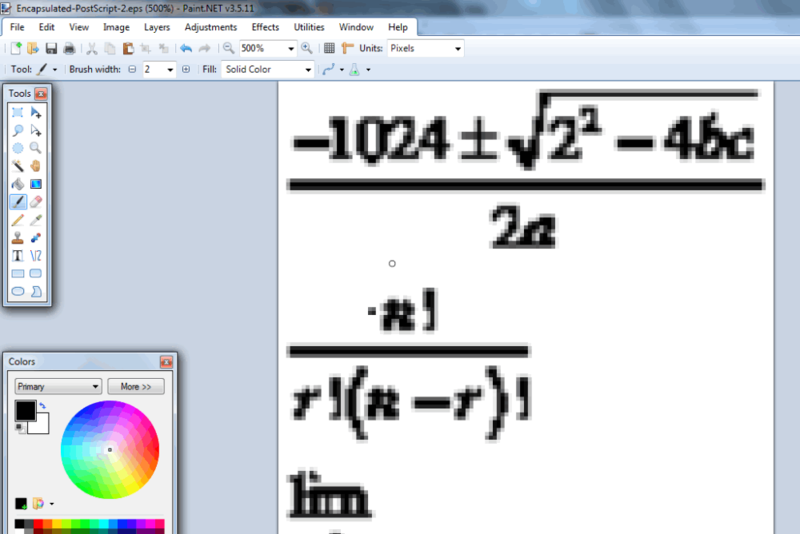 You can also zoom, resize, crop, and rotate EPS file. You can edit EPS file with several drawing tools available, and most importantly by adding layers. This software also lets you make several adjustments using curves, posterize, brightness, contrast, hue, and saturation. Several effects may be added to an EPS file, by using built in tools like artistic, blurs, distortion, noise, photo, render, and stylize. XnViewMP is a very beautiful and lightweight EPS file viewer software. Select a folder which contains your EPS files, and it shows all the images available in the folder in thumbnail view. When you select a file, it shows its properties, histogram, preview, and category associated with the file. You can also add folders to your favorites list. Click on thumbnail to open the EPS file. After you open the file, you can view, as well as edit the EPS file. This EPS viewer lets you zoom, rotate, crop, and tile EPS files. It also gives you the option to set the EPS file as a wallpaper. You can also view total number of colors used in EPS file, change color depth, map, adjust, rotate, mirror, crop, and swap. You can even resize, and add filters to EPS file. It lets you save EPS file in various formats, like: JPG, BMP, MIF, MTV, PAT, PS, PSD, QRT, etc. and take its printout. Use IrfanView to view your EPS files. It lets you view, edit, zoom, and save EPS files in different image formats. You can change image quality, and different features of image. You can set a file size of final image that is to be saved. Save your EPS file in different formats, like: BMP, JPEG, TIFF, TGA, RAW,FSH, EMF,GIF, ICO, JLS, or you can optimize it for the web. You can also rotate, and flip the displayed EPS file. It lets you edit EPS file with inverting colors, make a negative, make tiled image, Blur, Emboss, Oil Paint, Explosion, Sepia, Posterize, and many more. It also lets you set your EPS file as a wallpaper background, and share it through email. Photomania DX is a fantastic software to view EPS files on PC. 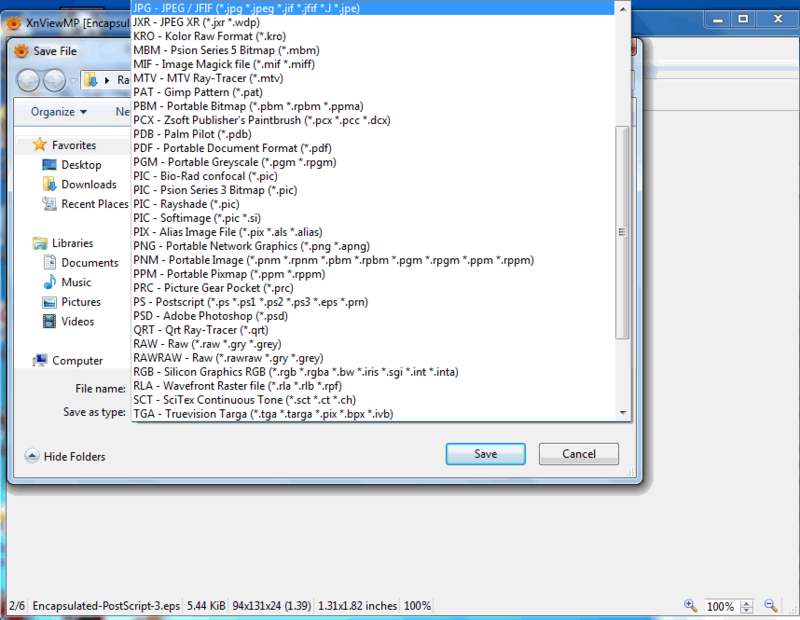 Despite it being small in size, it has numerous features to view, and edit EPS files. This freeware can also open various other file formats. You can zoom the displayed image, and edit it using several additional features. You can save EPS file in various different formats, like: ADA, BMP, EMF, GIF, ICO, JP2, JPG, RAS, TIFF, WMP, and many more. 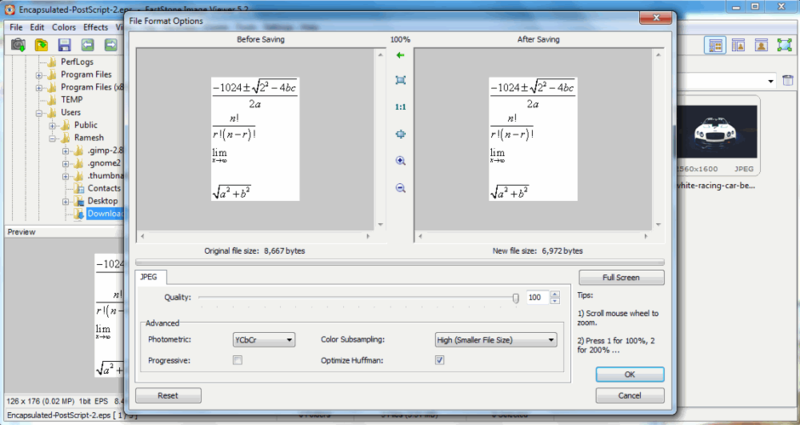 Add several effects to EPS files using this free EPS file viewer, like: control brightness, gamma correction, noise correction, edge detect, emboss, and many more. You can set your EPS file as a wallpaper, take a printout, and email it to anyone. It also lets you publish your EPS file using other options, like: creating HTML album, creating PDF album, creating PDF slideshow, and export EPS as PDF. FastStone Image Viewer is a capable EPS file viewer software, that lets you view, and convert EPS files. You can select options to set it's photometric settings and color subsampling. You have option to view EPS files in fullscreen, or as slideshow. You can also pan, and zoom EPS files. Printout of EPS files can be taken, or you can send the EPS files via email, with the help of this software. It also supports option for smooth image rendering. You can edit EPS files using many built in functions, like: resize, resample, crop, rotate image, adjust lighting, etc. You can also add border effects, Frame Mask, Water Mark, Sketch, Bump map, oil painting, Obscure, to your EPS files. Convert, and edit other image formats like JPEG, TIFF, PNG, PPX, TGA, and PDF with this free EPS viewer. Scribus is an important tool to view EPS files. Scribus lets you view an EPS file with options, like: zoom, margins, image quality, and different color environments. You have to install GhostScript on your PC to view EPS files on Scribus. It can import various formats of vector images like ODG, SXG, SVG,EP, PS, EPS, AI, and many more. You can export EPS files into formats like PDF, EPS, SVG, BMP, ICO, JPEG, PNG, PPM, TIFF, XBM, and XPM. While saving it as an image file, you can specify it's Quality, Resolution and Size as per your requirement. You can save EPS file in SLA and GZ formats as well. Edit EPS file by adding certain shapes like Rectangle, Ellipse, Textbox, Bezier curves, etc. Wega2 is a robust software which helps you to view EPS files on Windows computer. You can view a single file, or an entire folder with the help of Wega2. You can even view slideshow of the folder that you have selected. This software lets you compress your EPS file as well. You can send EPS file via mail, or save it in various popular image formats. You can also mark most commonly used folders as favorite. TGA Viewer is another software to view EPS files on PC. It is quite easy and simple to use, and lets you extract complete features of a vector image. It lets you view, rotate and convert EPS files. It also provides you with little editing options to resize, pan, and zoom EPS file. You can change resolution of EPS files, and save in different formats: JPEG, BMP, PNG, GIF, and TIFF. This software also lets you view TIFF, PLT, CR2, TARGA, PCX, TGA, PSD, AI, and PCX files. Free EPS Viewer lets you view EPS graphic files. It lets you zoom in, and zoom out the file. The EPS file can be rotated, and mirroring effect can be applied to it as well. Your EPS files can be easily exported in different formats, like: BMP, PNG, GIF, JPG, and TIFF. You can also resize your EPS files, but it doesn't maintain the aspect ratio while doing so. While resizing EPS file with this software, special focus must be laid on the image dimensions. GSview is a simple lightweight software, which helps us to view EPS files. You can edit EPS files, and save them in different formats, like: EPI, EPS, and PS. Change the resolution, and also take a print out of EPS file with this software. You can change display settings, like: resolution, zoom resolution, depth, Text Alpha, and Graphics Alpha. You can also view the code used to design an EPS file. Evince lets you view EPS files for free. It lets you view EPS files in full screen, and presentation modes. You can zoom EPS files to fit page width, best fit, or percentage. You can even rotate EPS file, and invert its colors. View the contents of EPS files in continuous mode, or dual mode. EPS Viewer is a very basic EPS viewer. It lets you view, convert, and rotate EPS, and PS files. You can pan, zoom, and resize EPS file easily with the help of mouse. It lets you change the resolution of EPS file, and save it in different formats, like: JPEG, Bitmap, PNG, GIFF, and TIFF. IMDisplay or ImageMagickDispaly is a simple software which lets you view EPS files in a very simple, and easy to use environment. You can even take printout of EPS files with this EPS viewer. Apart from letting you view EPS files, it also lets you view various popular image formats, and perform some minor editing, like: BMP, GIF, JPEG, MIFF, PNG, TIFF, SVG, and WMF. View your EPS files with the help of PCX Viewer. It also lets you view, rotate and convert EPS files. You can resize, pan, change resolution, and zoom EPS files as well. Save your EPS files in different formats, like: JPEG, BMP, PNG, GIF, and TIFF. 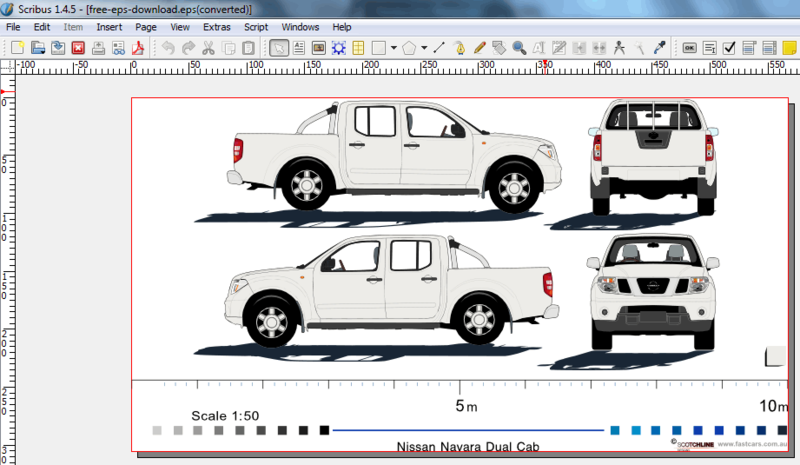 PCX Viewer also lets you view files, like: TGA, PSD, AI, and PCX. 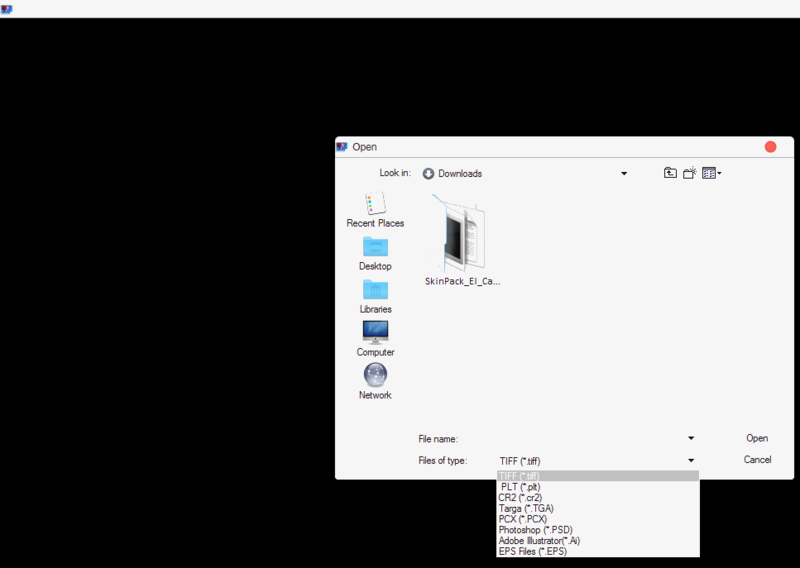 EPS File Viewer is a very small software to view EPS files. 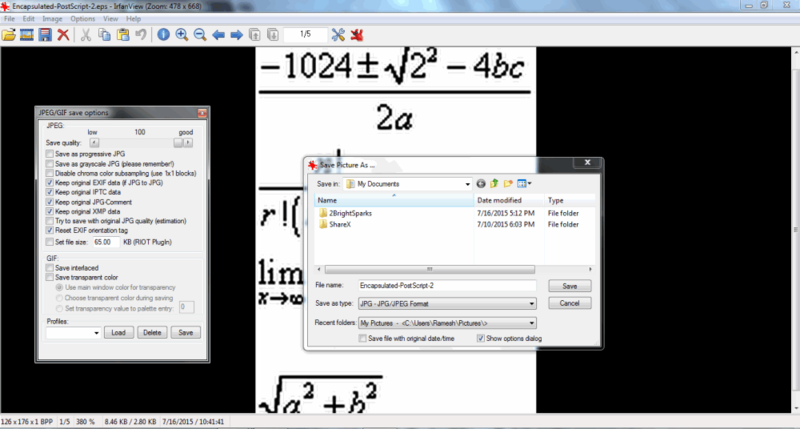 You can view EPS files using this software, with basic properties, like zoom in, and zoom out. You can use mouse and hotkeys to perform the above operation. You can also save your EPS file in JPEG format.